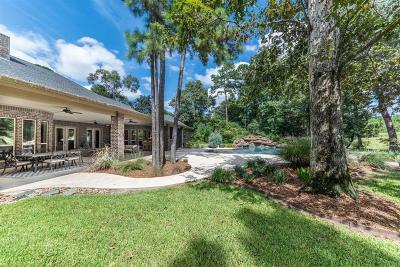 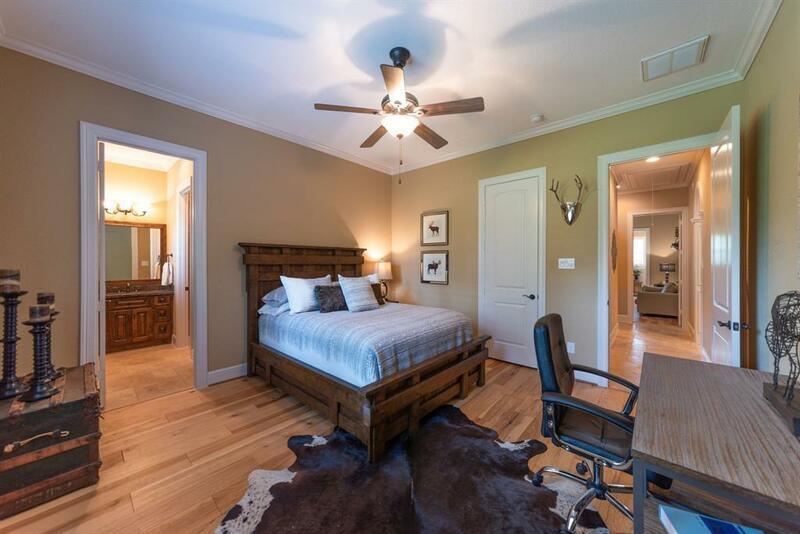 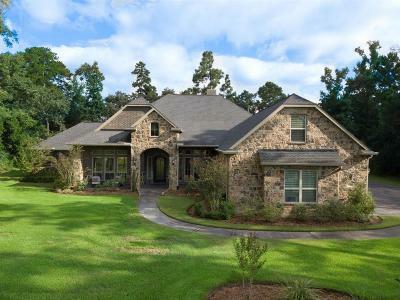 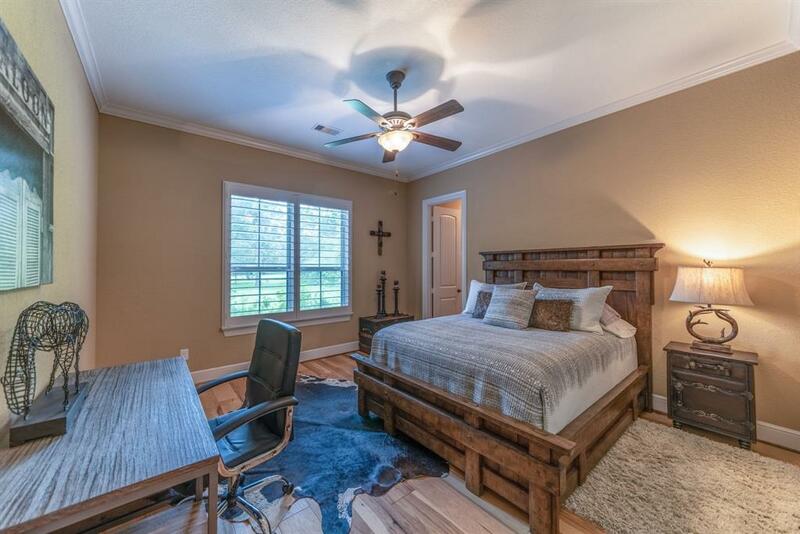 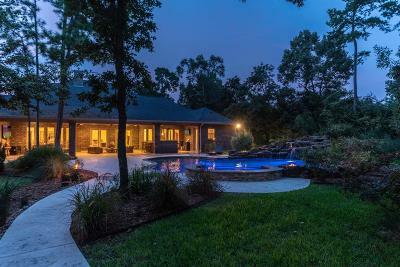 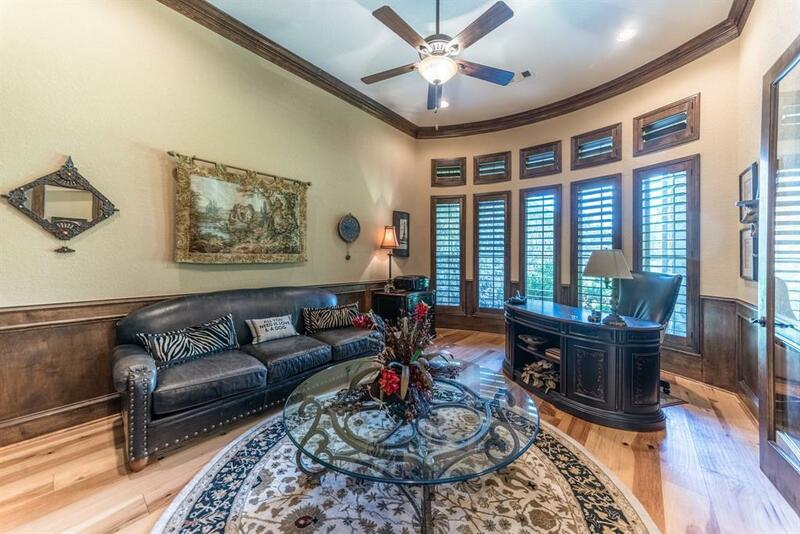 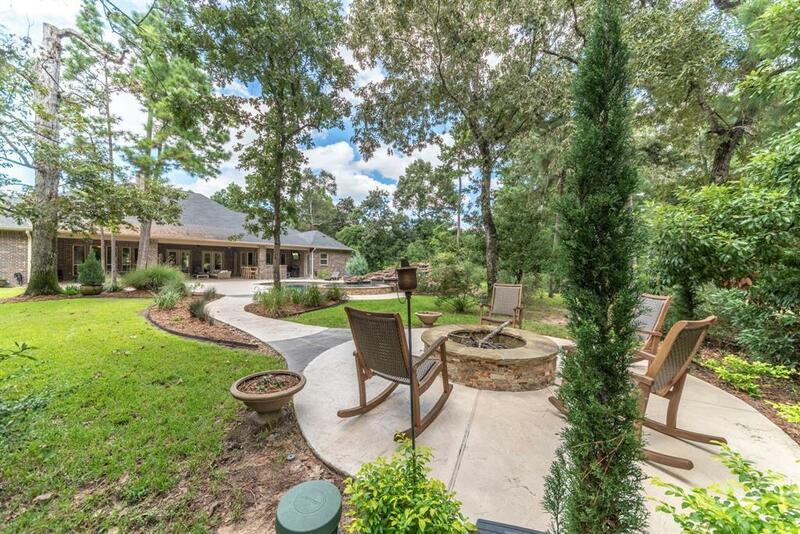 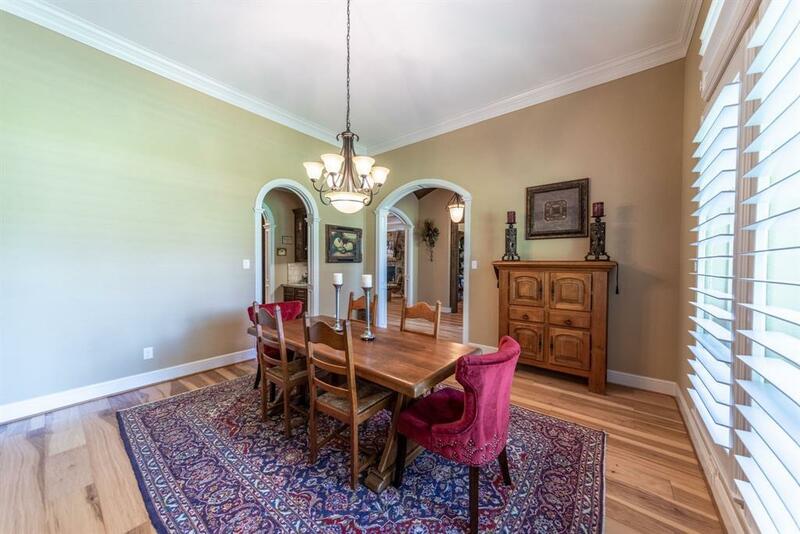 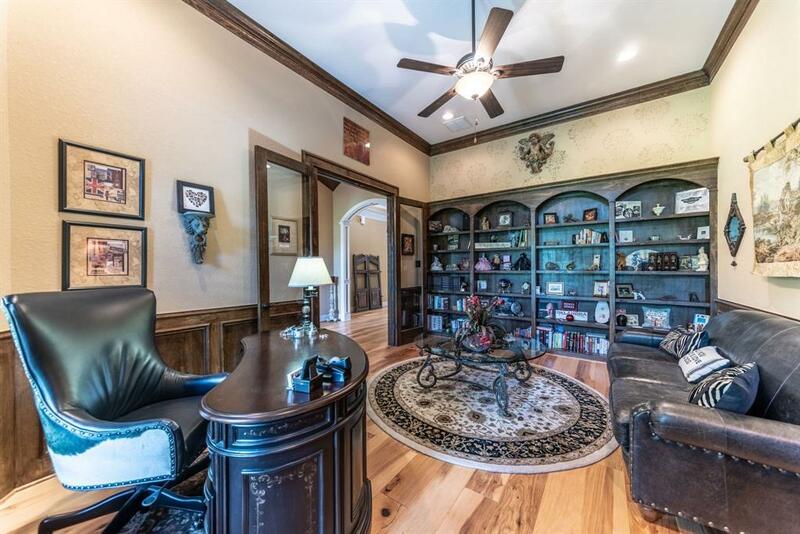 Fabulous 1.5 Story Hill Country Ranch w/distinctive features. 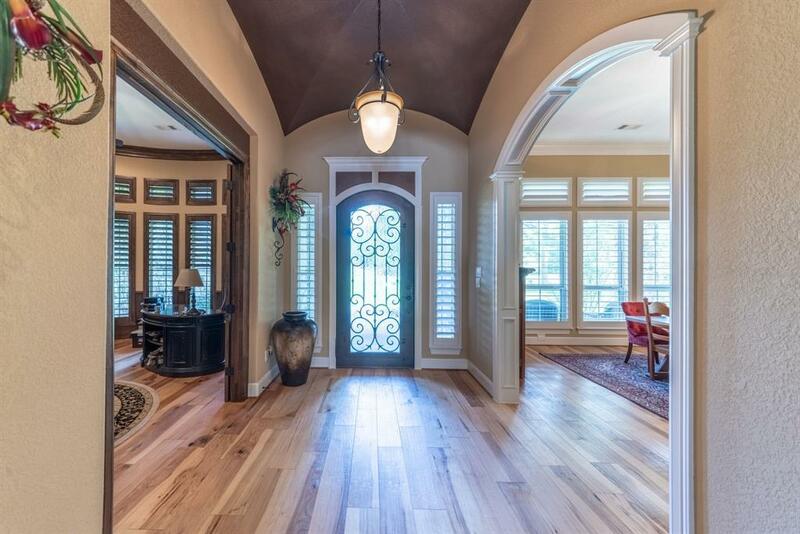 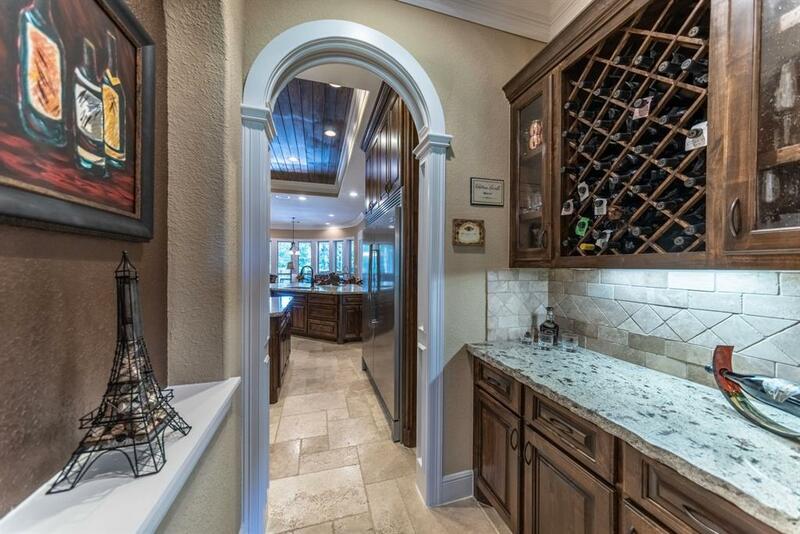 Iron Scroll Glass Door opens to entry accented w/groin vault ceilings. 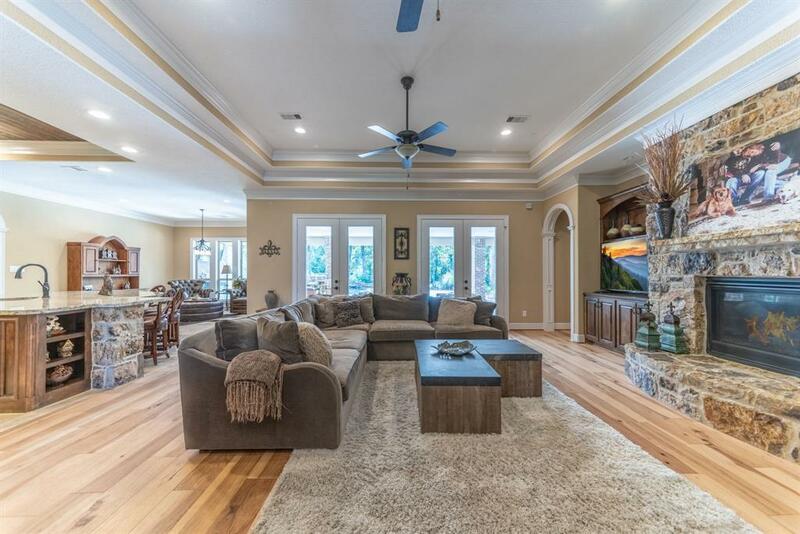 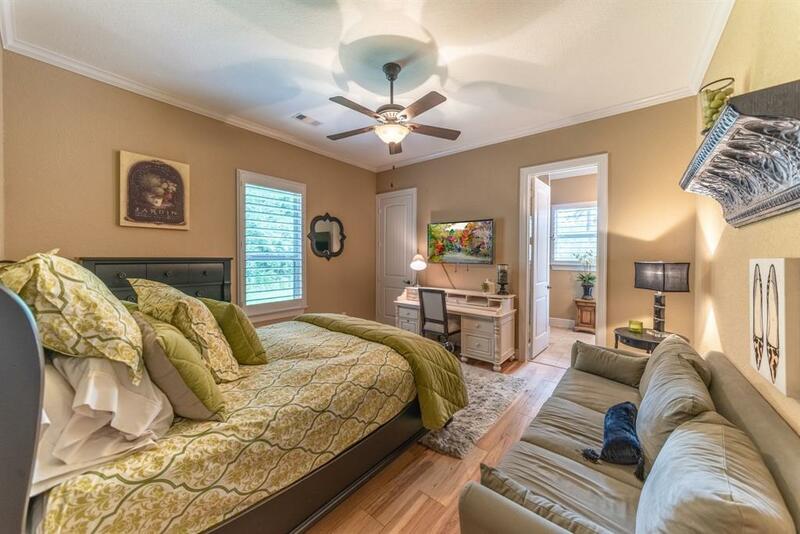 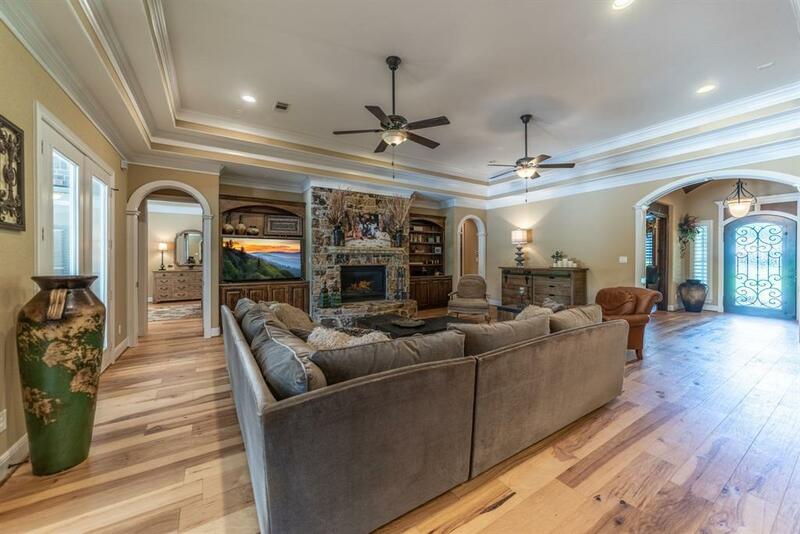 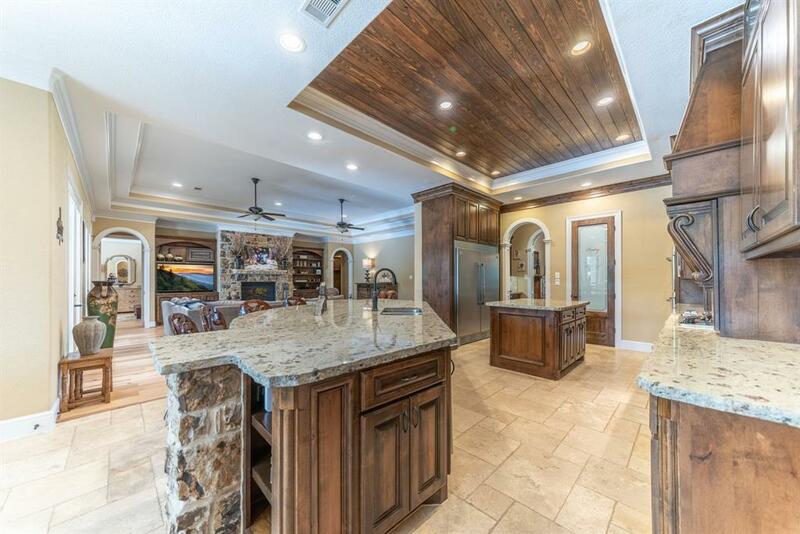 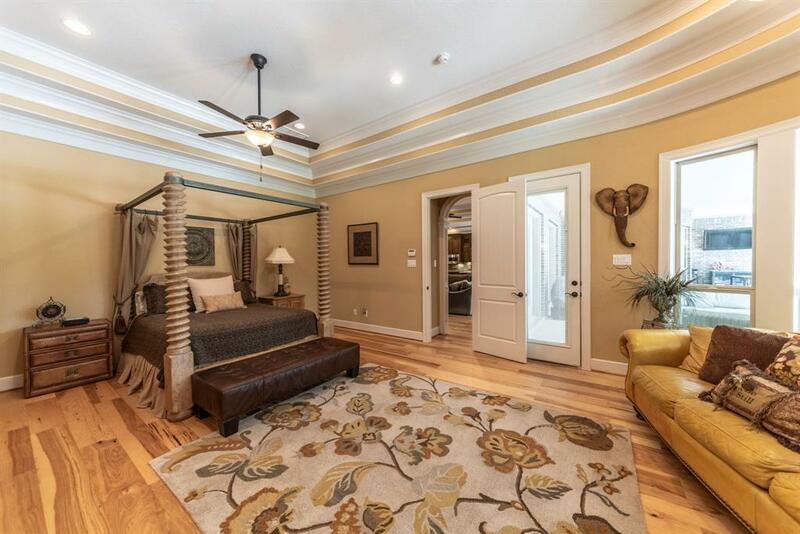 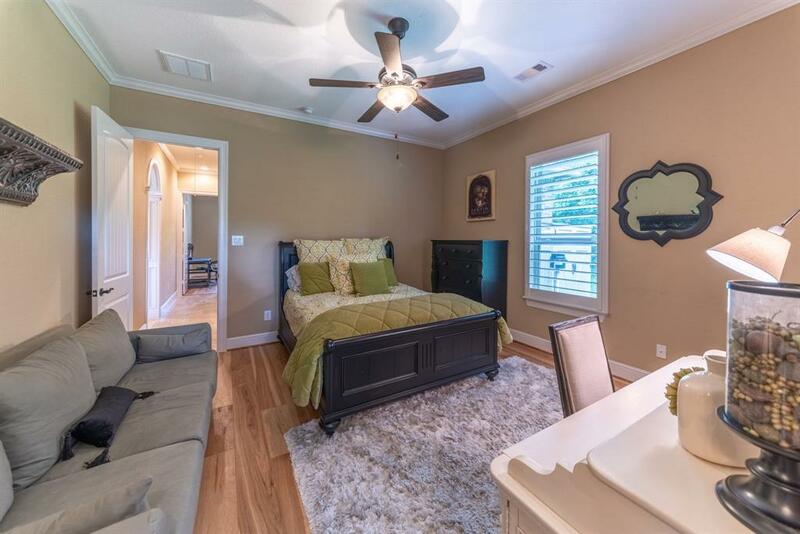 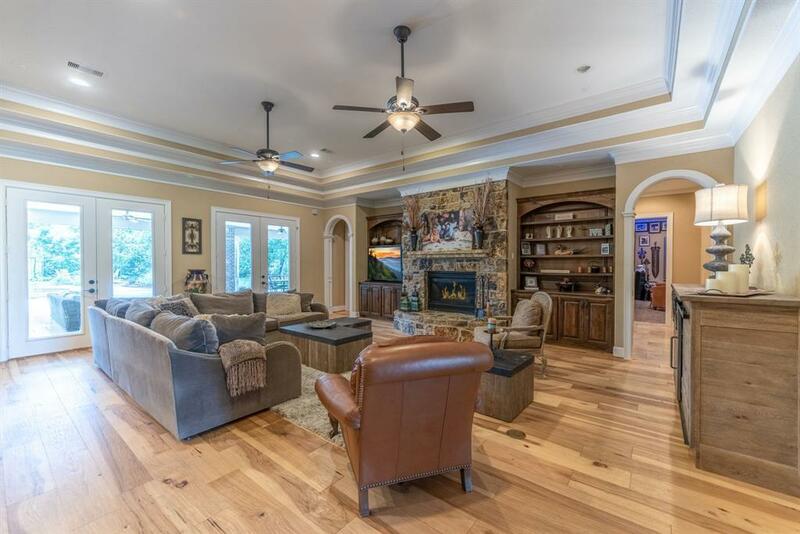 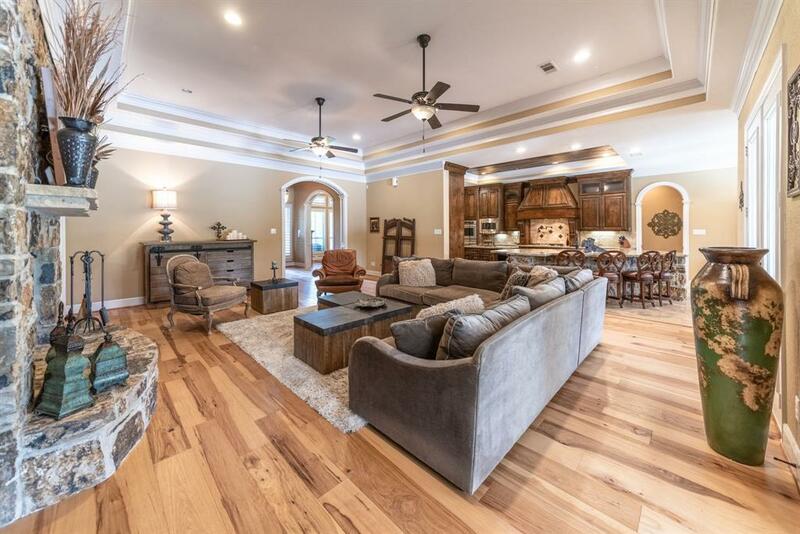 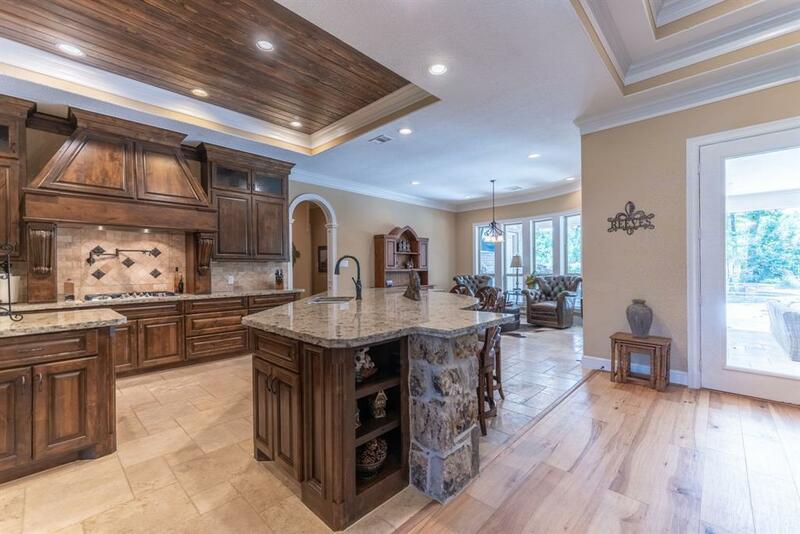 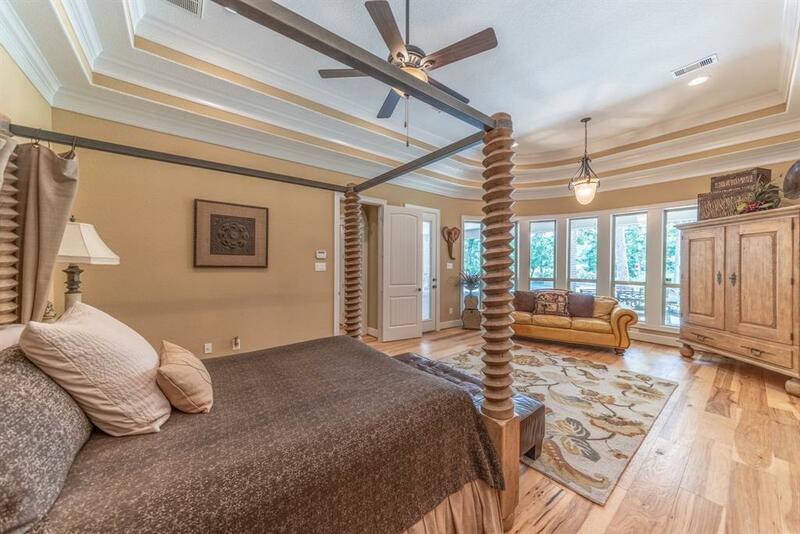 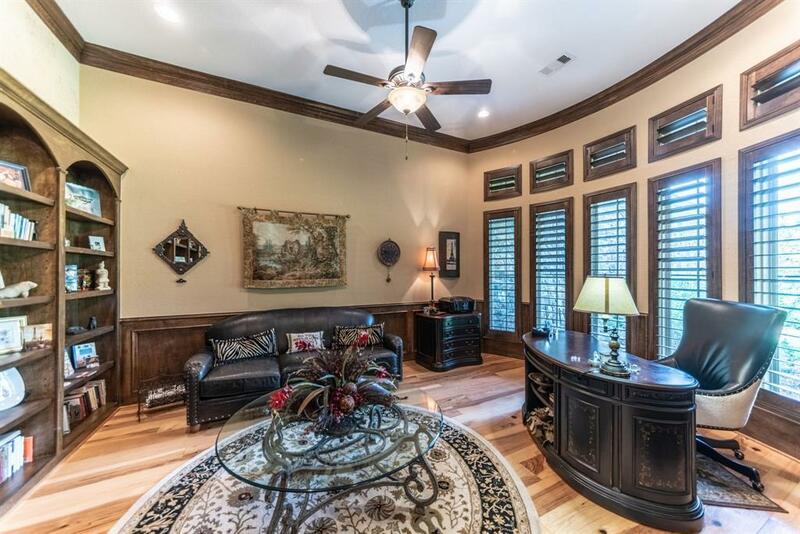 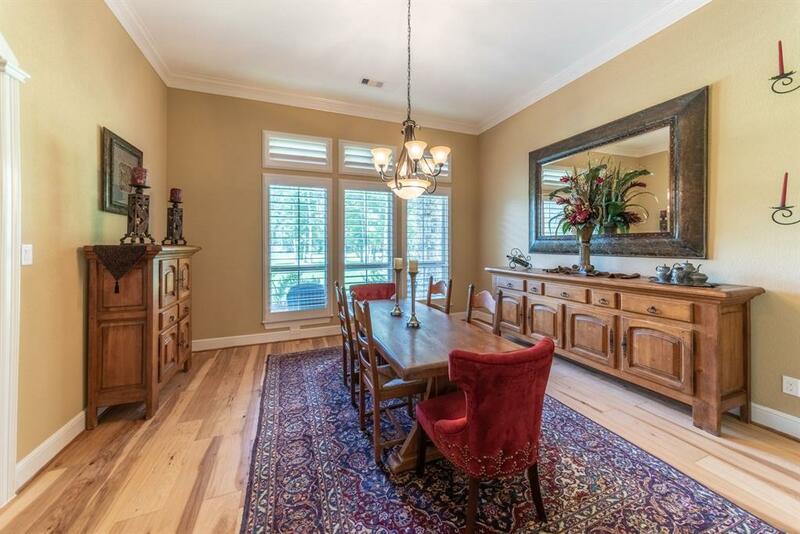 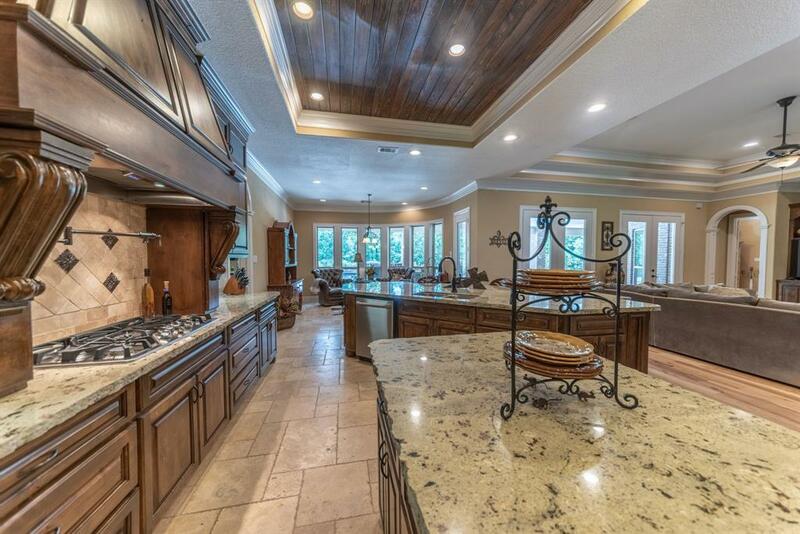 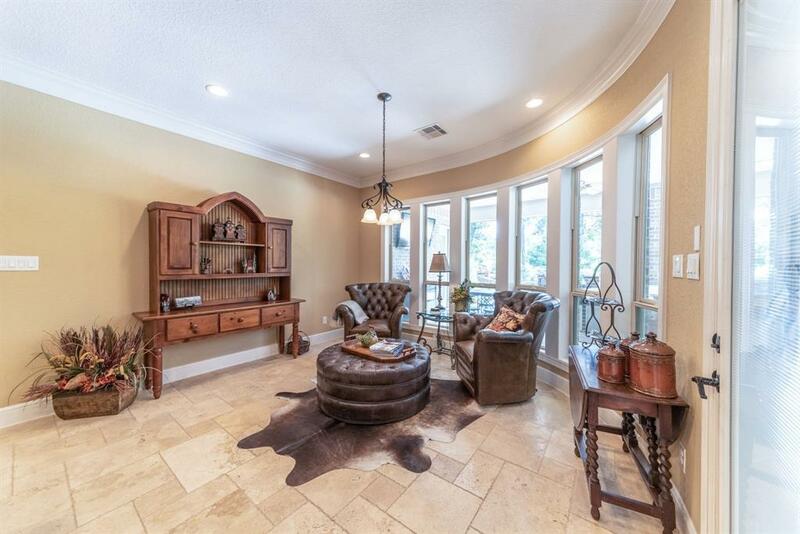 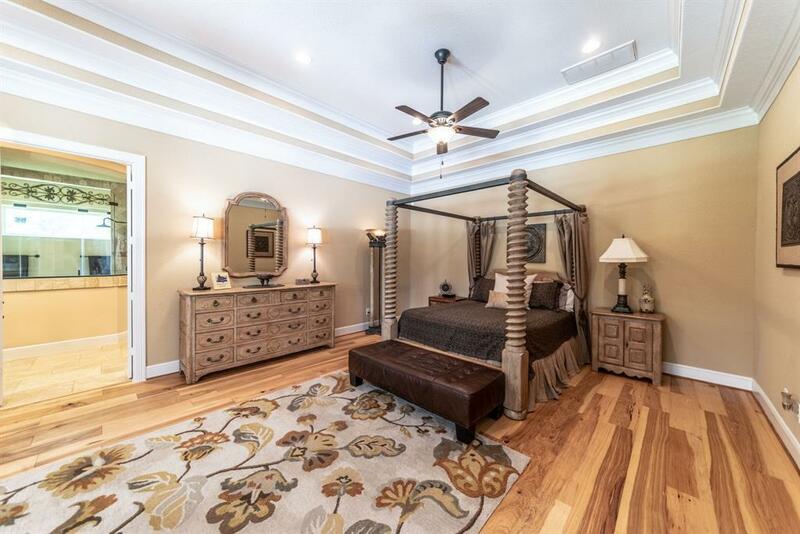 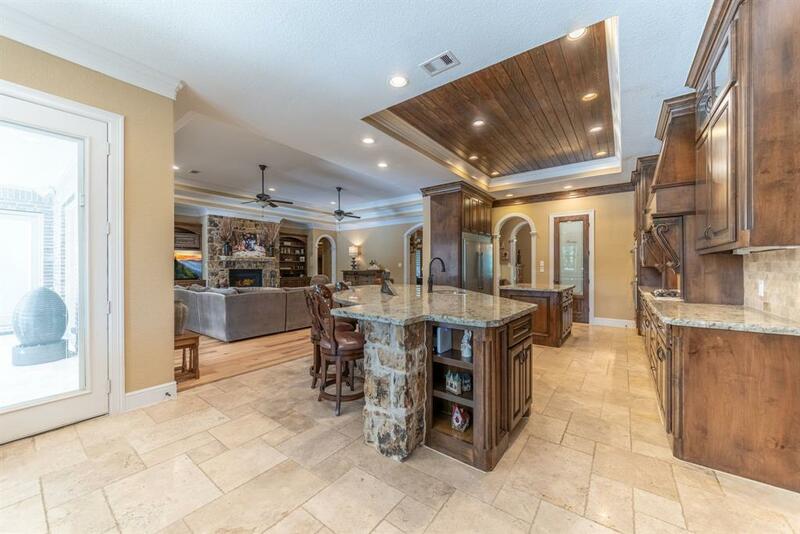 Gorgeous hickory wood flooring & travertine throughout main living areas. 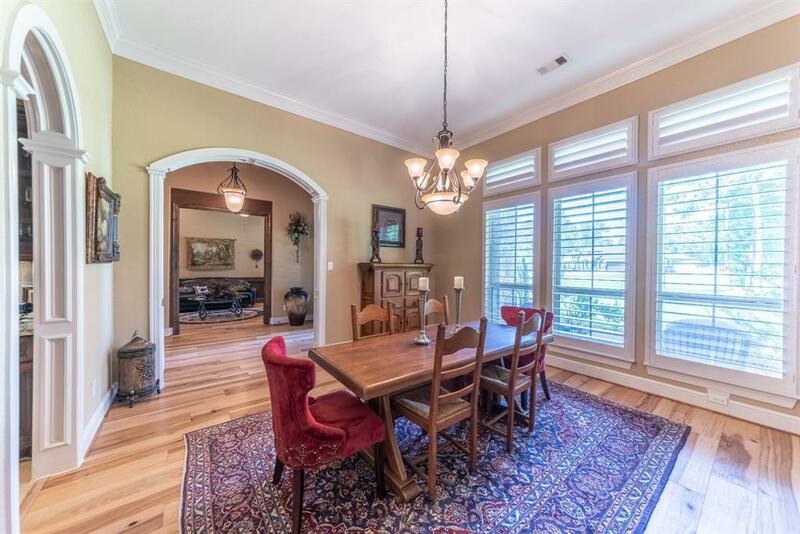 Spacious Great Room open to super-sized kitchen w/two large chiseled granite islands! 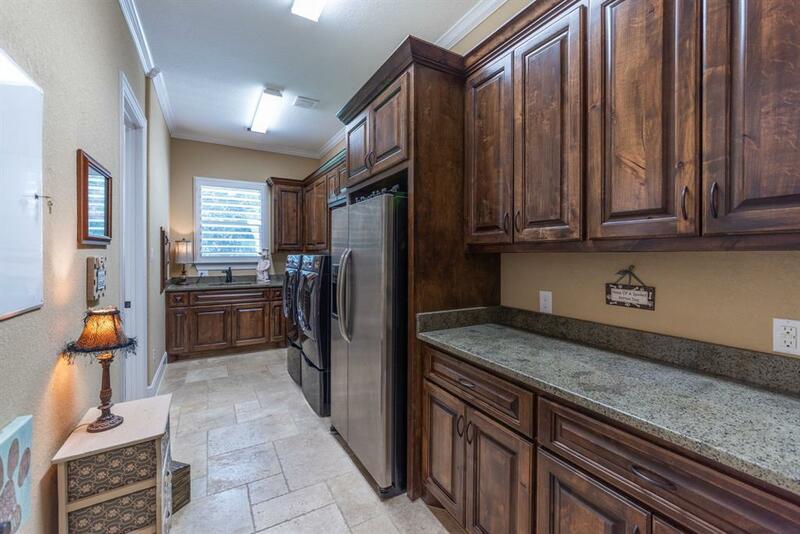 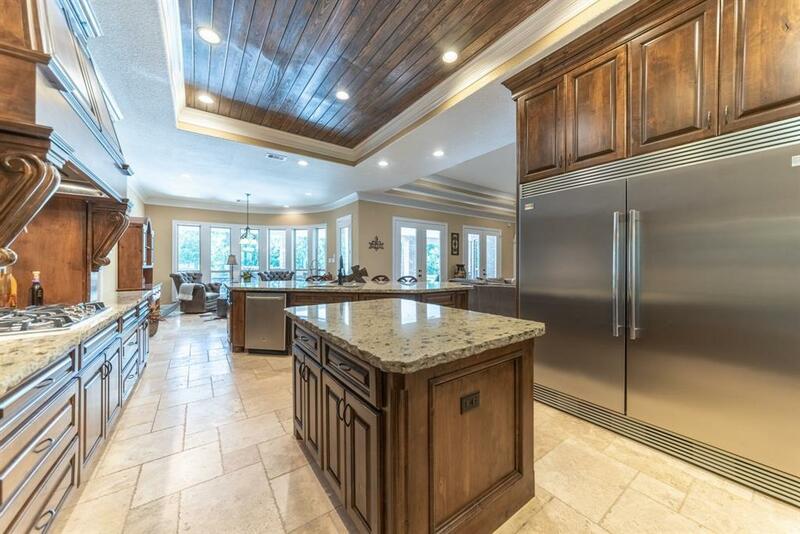 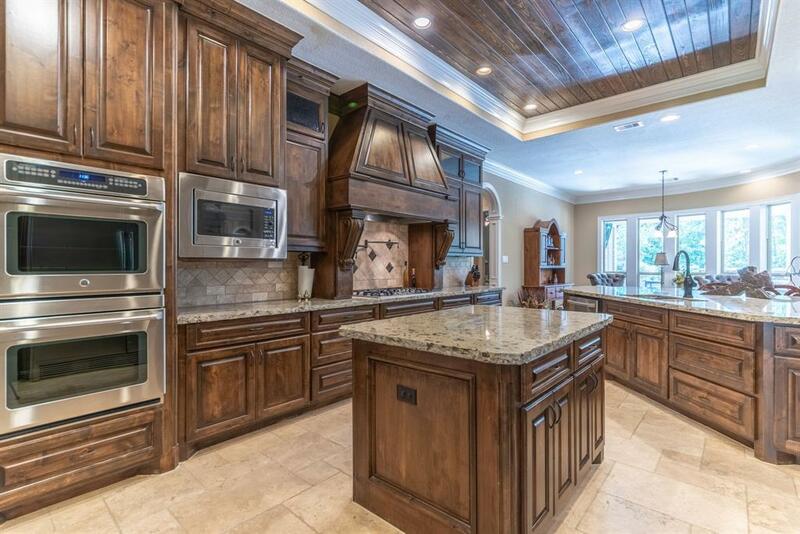 Endless custom cabinetry, 64 inch stainless Frigidaire fridge/freezer, 5 burner gas cook top, double convection ovens, stainless appliances, pot filler, butler's pantry + enormous walk-in pantry! 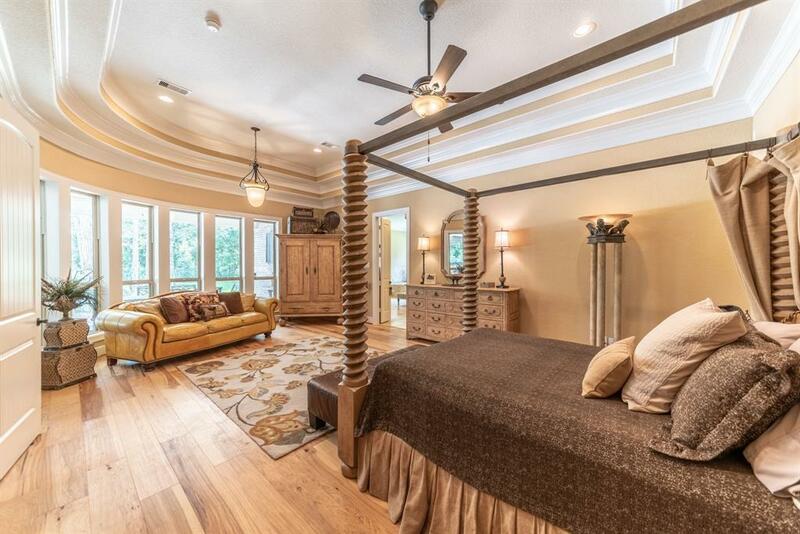 All bedrooms down! 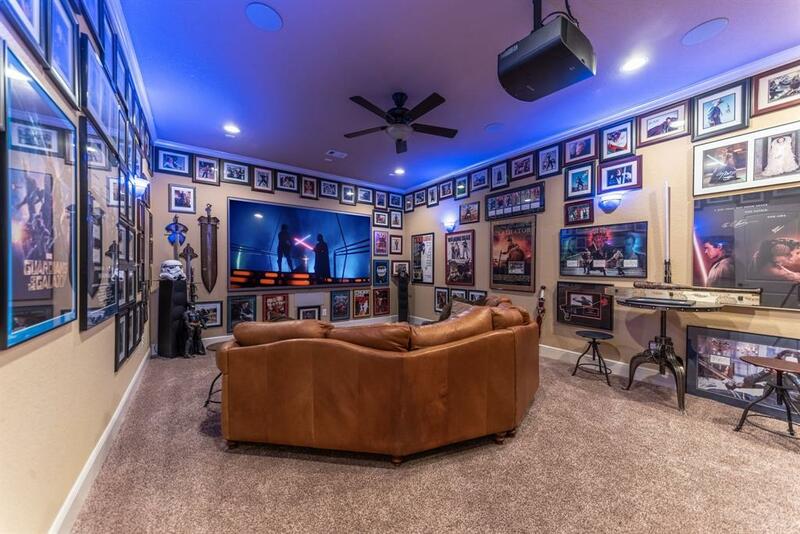 Downstairs media room w/premium 4K Projector & 120" screen + wet bar! 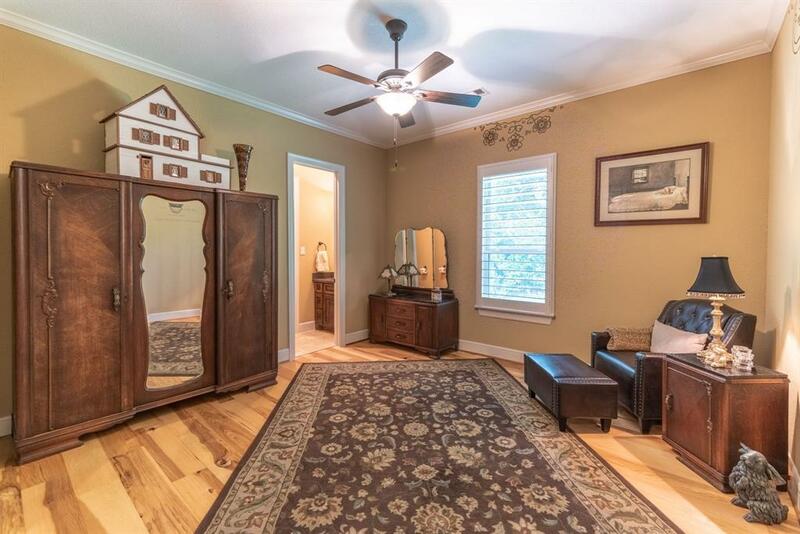 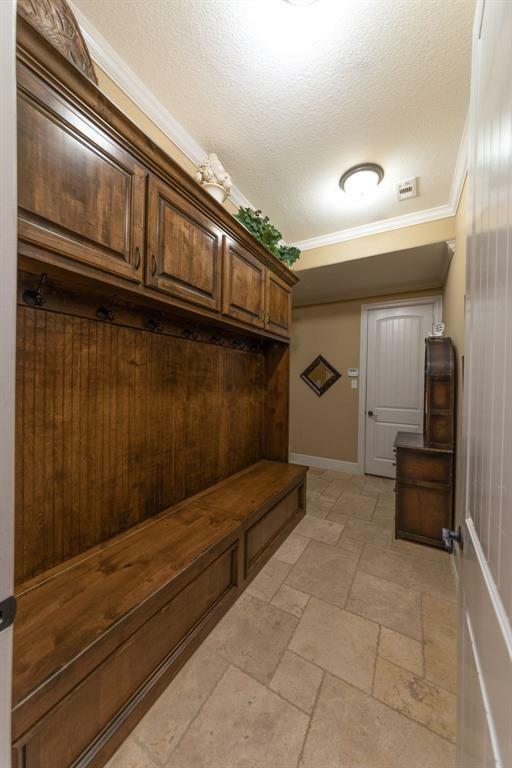 Professional laundry room opens to one of the large walk-in master closets. 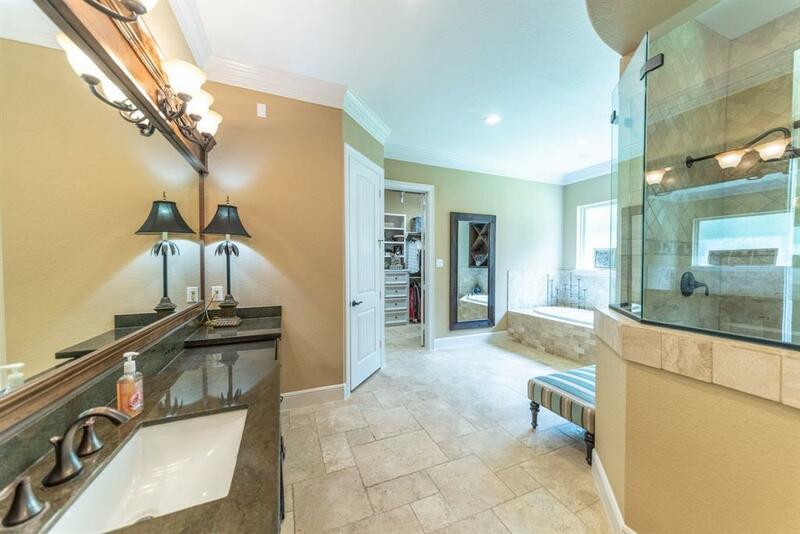 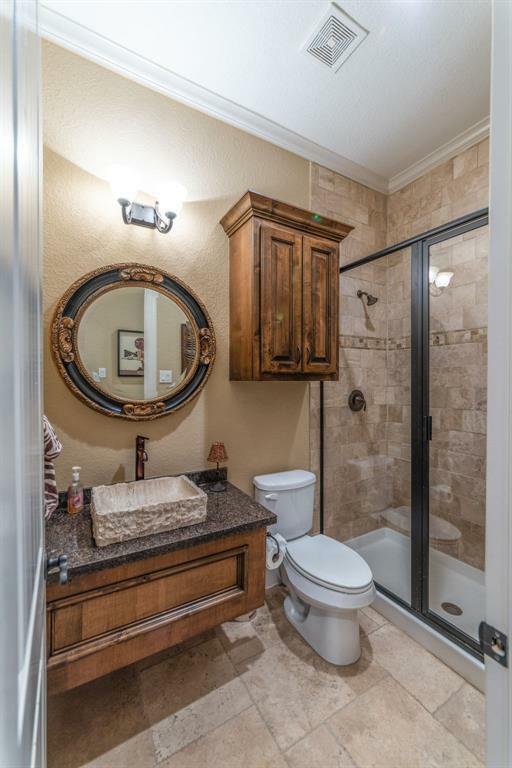 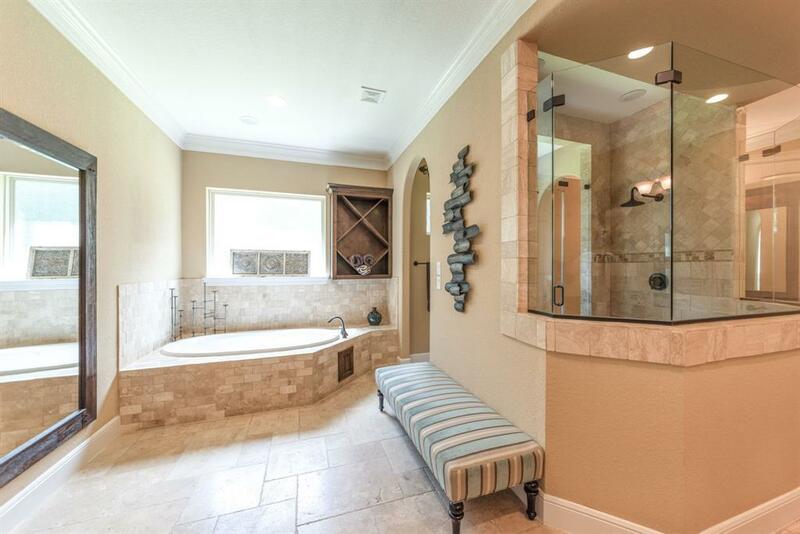 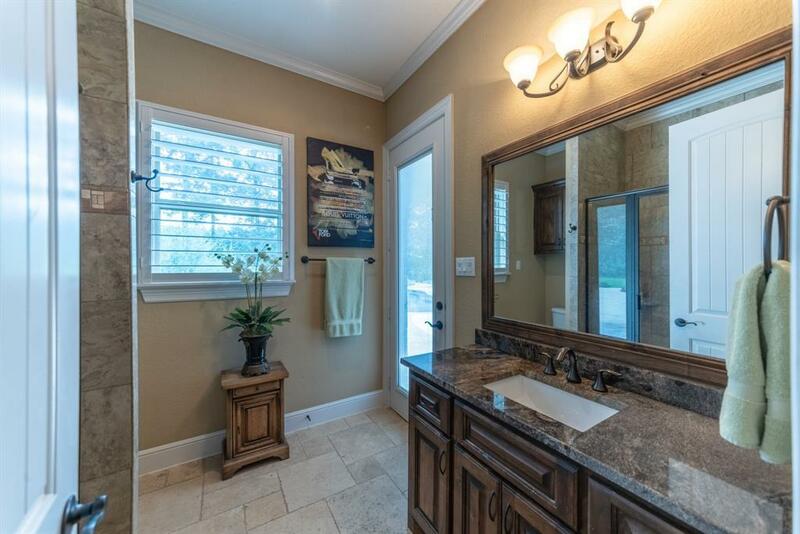 Spa-like master bath boasts His/Her vanities, double sinks, double toilets, and shower room w/dual control system. 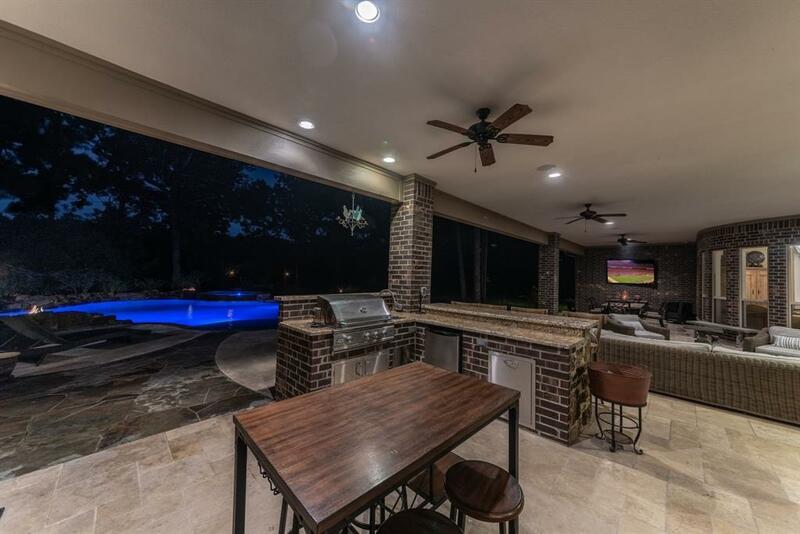 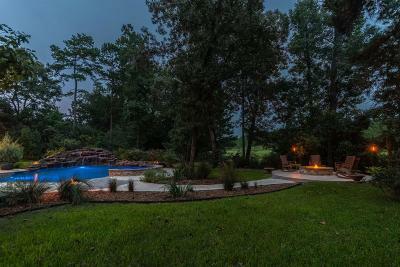 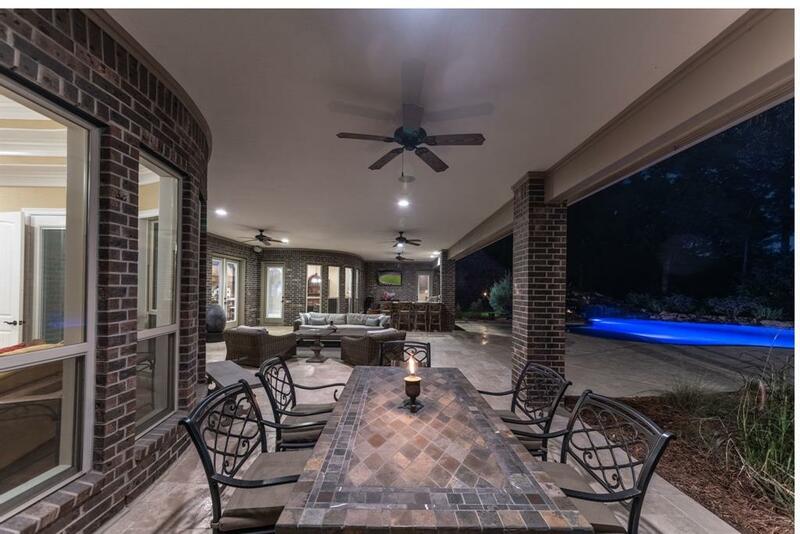 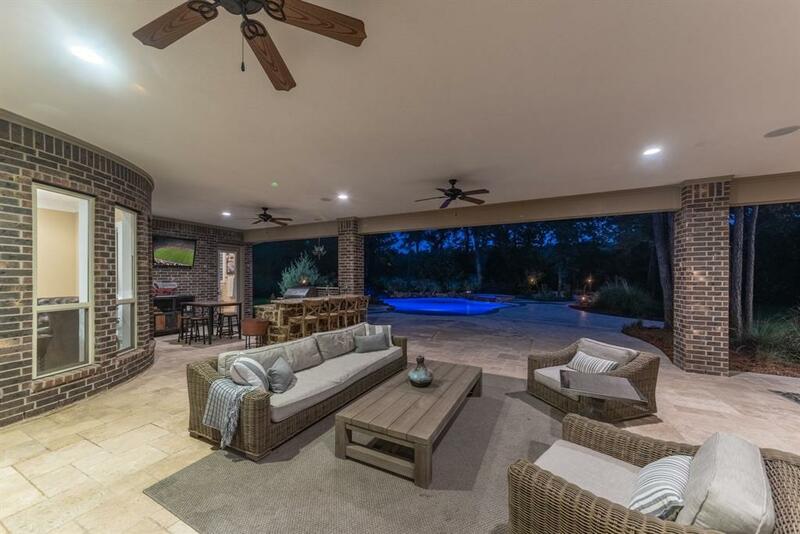 Outdoor oasis includes ~1400 SF covered living area, outdoor kitchen, free flowing pool, spa, & fire pit. 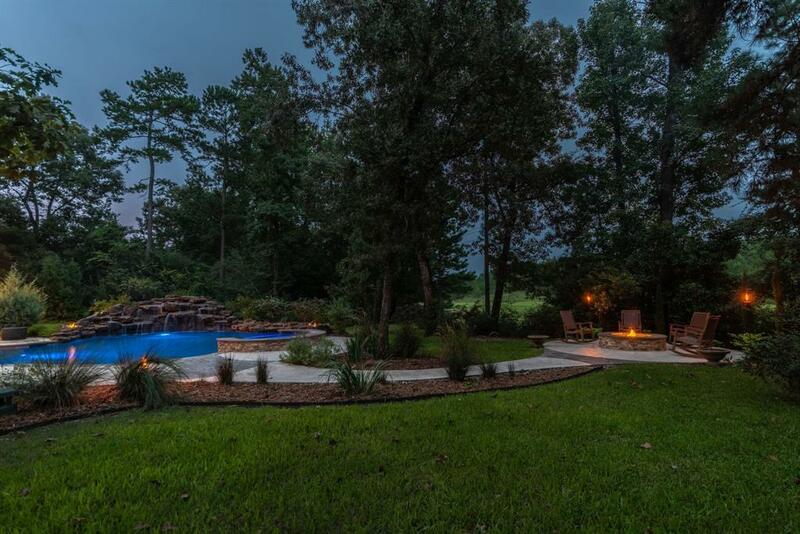 Private well w/certified drinking water servicing the pool & sprinkler system. 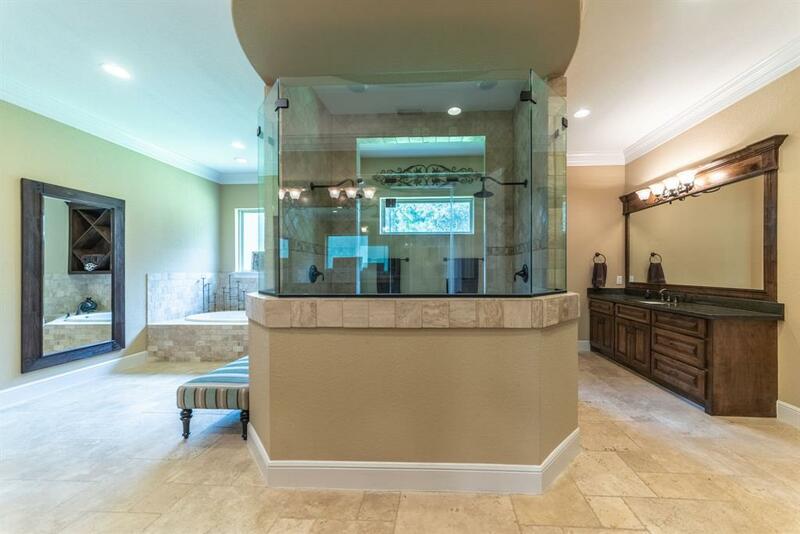 Mosquito system! 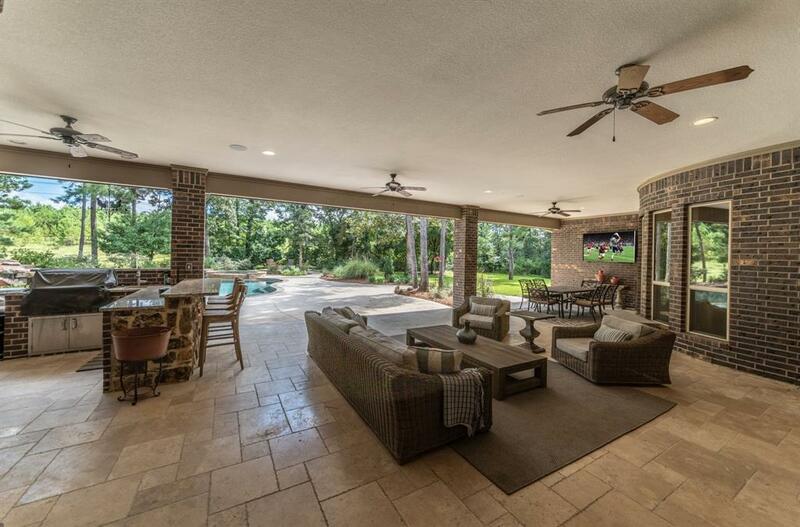 Outdoor Bose Speaker System! 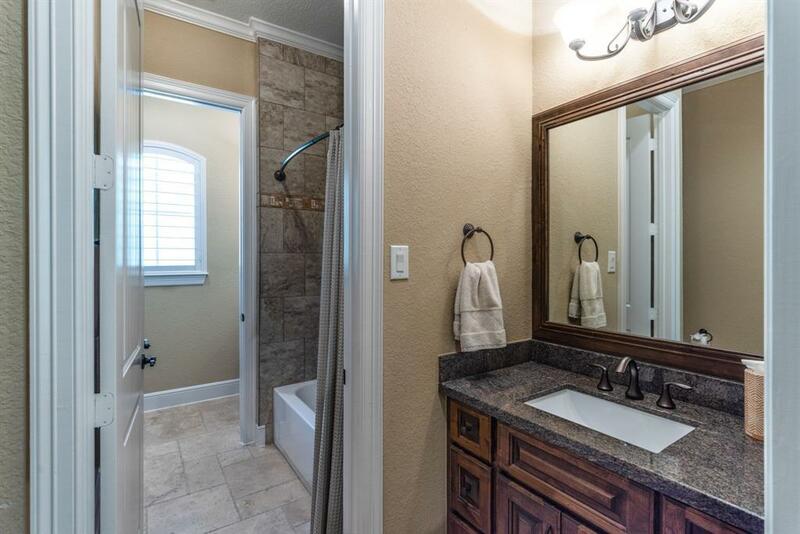 Directions: From I-45, Head East On Grand Parkway. 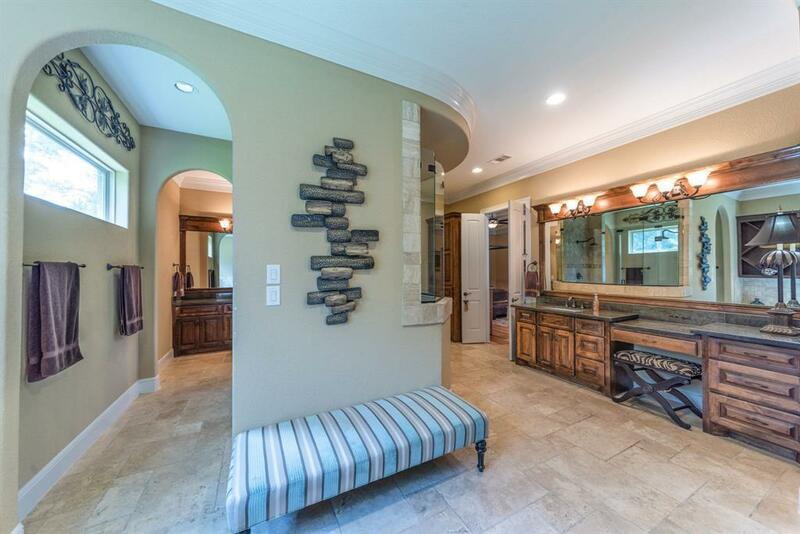 Exit Birnham Woods. Right On Birnham Woods. 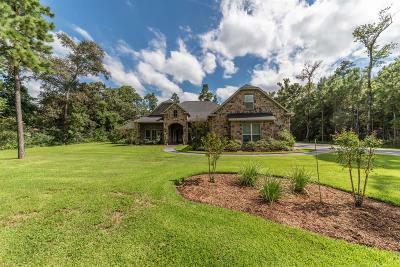 Left On Rayford Rd. 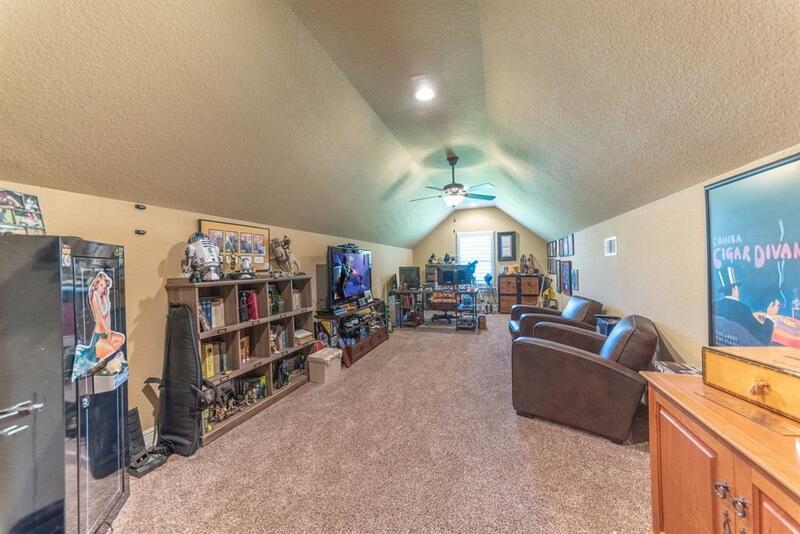 Right On E Benders Landing Blvd. 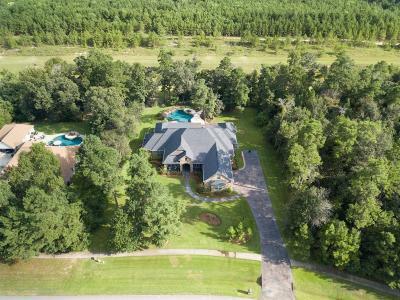 Home Will Be On Left.